The results of the review appear in the XML reports and summaries. It is not necessary to re-run the analysis. In addition to MISRA-C:2004, the Rule Checker now supports the MISRA-C:2012 rule set. 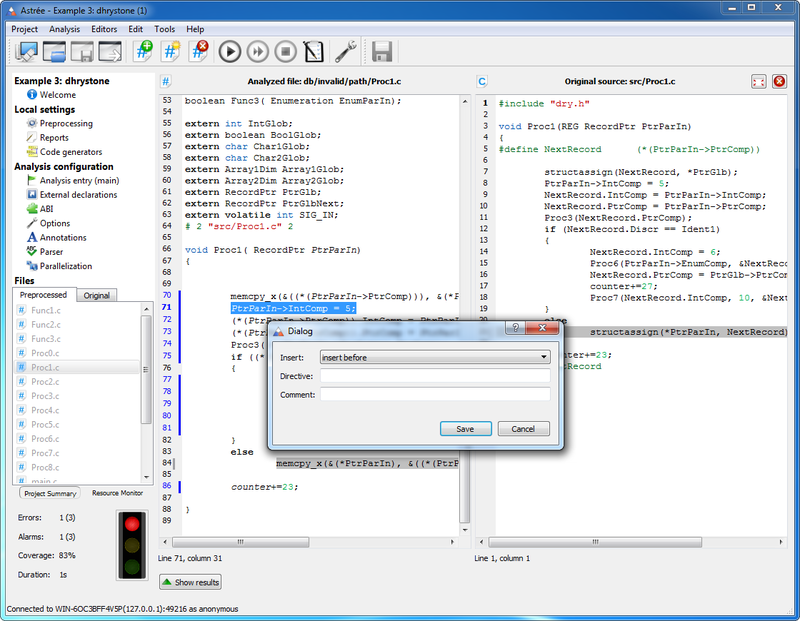 It is now possible to generate AAL annotations automatically by simply right-clicking into the code displayed in the editor and selecting “Generate Annotation” from the context menu. 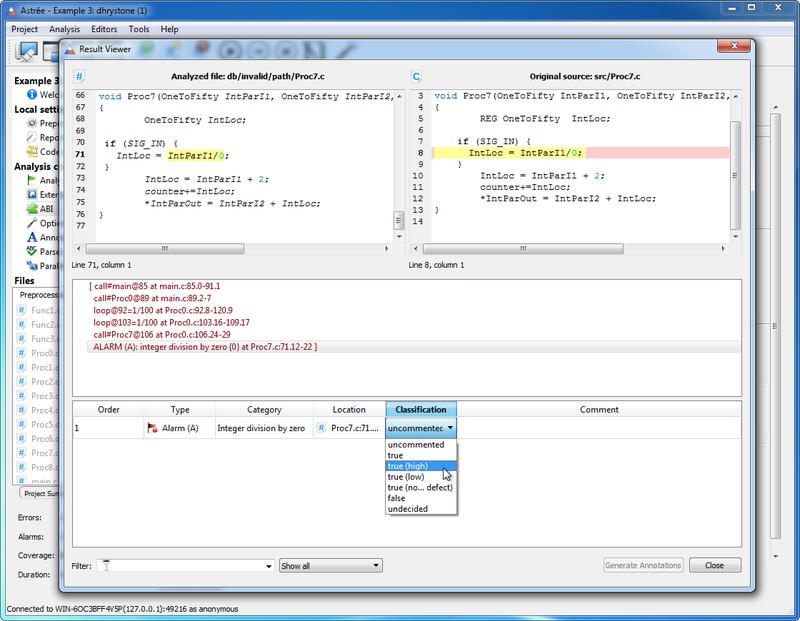 After specifying a directive to insert, Astrée automatically generates the AAL specification that places the directive at the selected position in the code. The analyzed code is not modified. Astrée can now generate a list of potential entry functions (periodic tasks and initialization functions) based on a pre-analysis of the source code. 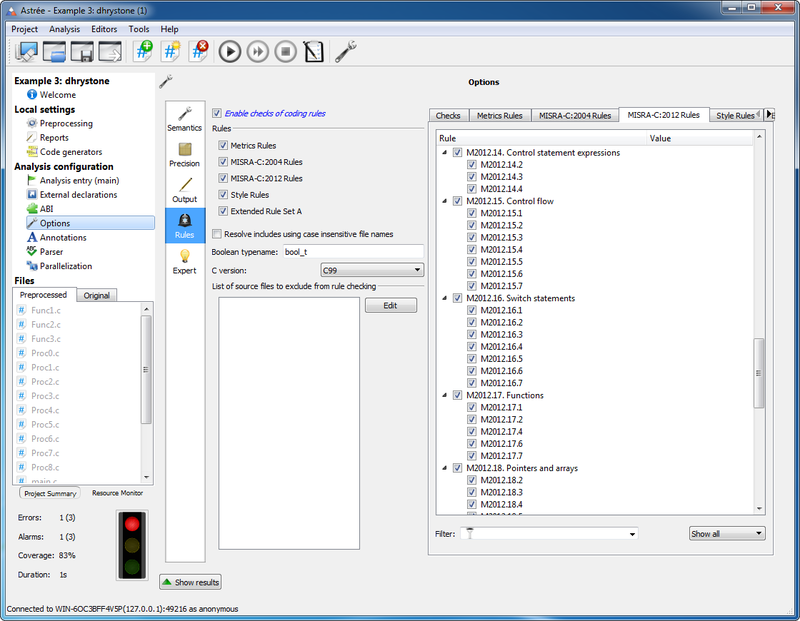 The list is available via the Tools menu, and is also displayed automatically if no analysis entry point was specified. 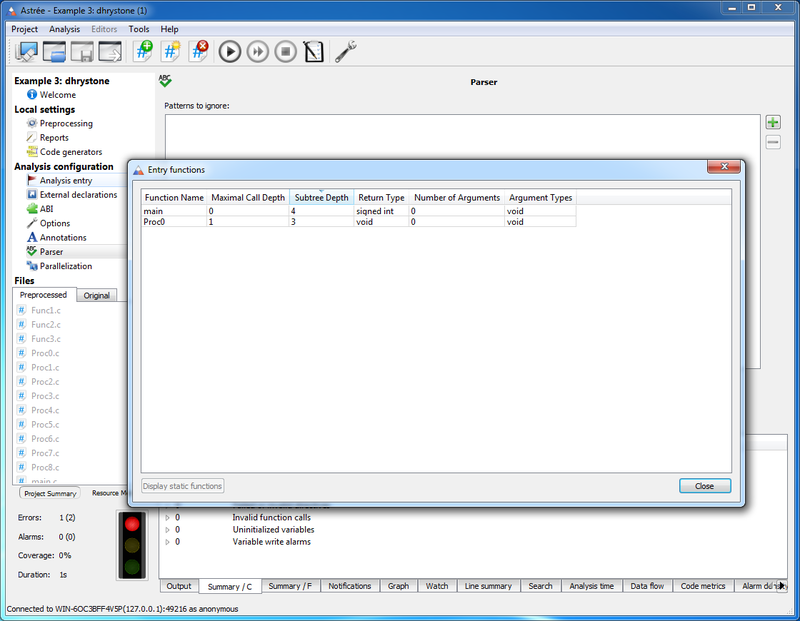 Relevant tasks and initialization functions can then be selected to configure the analysis. Collecting information about potential entry functions can be disabled via the new option list-entry-functions.